Greatly in need of safety depth, the Giants plan to work out free agent Shamiel Gary on Sunday, according to Mike Garafolo of NFL.com (Twitter link). 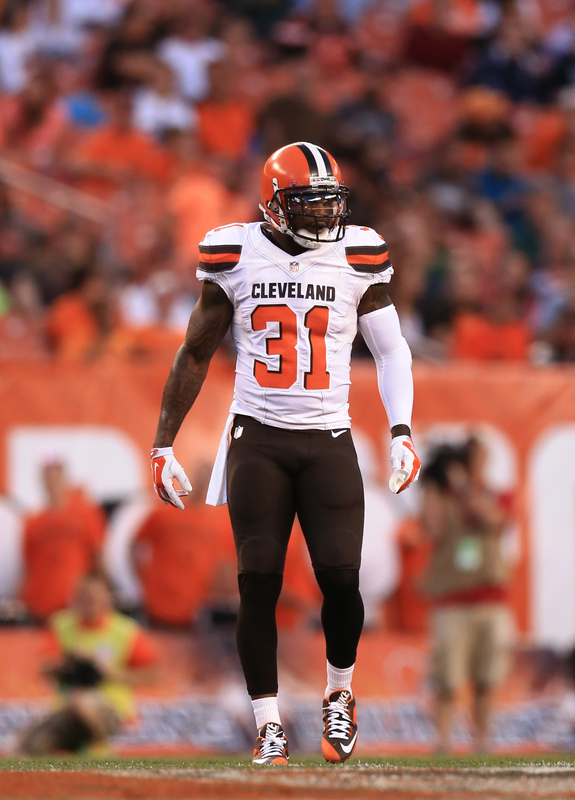 Ian Rapoport of NFL.com reported earlier today that New York will also take a look at veteran Donte Whitner this weekend. 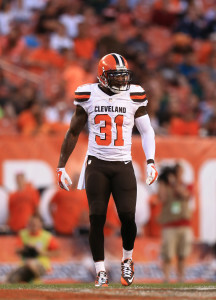 Gary, 26, was an undrafted free agent out of Oklahoma State in 2014. He’s spent time with several clubs, with the Patriots and Bears among them, but his only regular season action came in 2015, when he appeared in six games for the Dolphins. Miami waived Gary at final cutdowns earlier this month, at which point he signed on with the Vikings’ practice squad. Minnesota then waived him two weeks ago. Gary also has two other workout sessions planned for next week, per Garafolo. The Dolphins announced that they’ve waived guard Jamil Douglas. Miami had promoted Douglas from its practice squad before last night’s game against the Bengals, but he’s already off the roster again. Douglas, 24, appeared in all 16 games (six starts) last year, his rookie campaign. 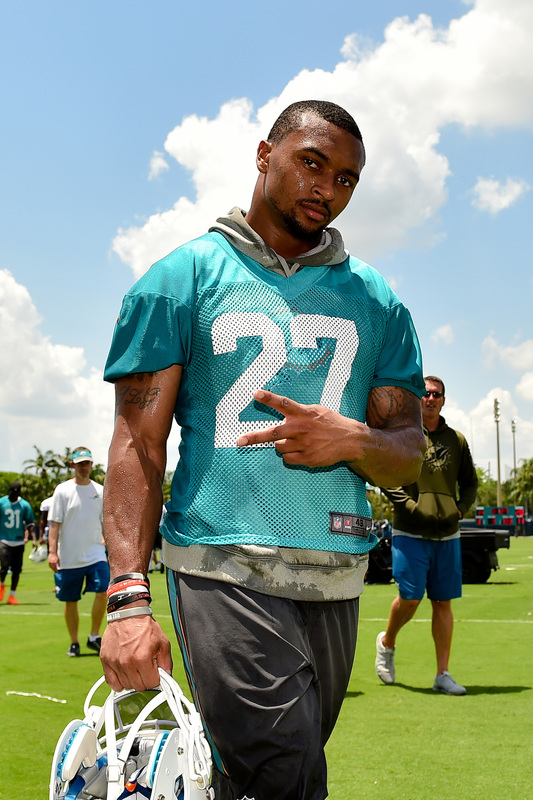 If he clears waivers, it’s entirely possible that Douglas is moved to the Dolphins’ taxi squad. The Panthers waived wide receiver Kevin Norwood off injured reserve, according to Bob Condotta of the Seattle Times (Twitter links). Norwood, a 2014 fourth-round pick of the Seahawks, was last year dealt to Carolina for a conditional 2017 seventh-round pick. Seattle will still receive the draft choice in return even though Norwood is no longer on the roster, per Condotta. The Patriots have seven defensive starters hitting the free agent market at once, but coach Bill Belichick claims he isn’t worried, as Doug Kyed of NESN.com writes. “In general, there’s some team planning, you do what you can do,” Belichick said. “Sometimes if you can work out a contract, which we’ve done that during the season with various players — if you can work that out, you work that out. If you can’t, there’s been a number of players we’ve signed — our players that we’ve signed once free agency has started. Devin McCourty, to pick a name. 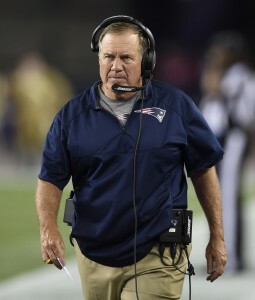 Linebackers Jamie Collins and Dont’a Hightower, defensive ends Jabaal Sheard and Chris Long, cornerback Logan Ryan, safety Duron Harmon, and defensive tackle Alan Branch will all be unrestricted free agents while cornerback Malcolm Butler will be a restricted free agent . Meanwhile, offensive starters Martellus Bennett, LeGarrette Blount, Marcus Cannon, Sebastian Vollmer, and James Develin also will be UFAs. On Monday, the Patriots are expected to activate quarterback Tom Brady and defensive lineman Rob Ninkovich. Jeff Howe of the Boston Herald expects tight end A.J. Derby and LaAdrian Waddle to be on the chopping block, though placing Eric Rowe on IR is also an option. Derby has been passed by Clay Harbor on the depth chart and likely could pass waivers and be placed on the practice squad. Waddle, meanwhile, is the fourth tackle on the depth chart and has been leapfrogged by Cameron Fleming. The Jets auditioned free agent defensive end Chris McCain today, reports Rich Cimini of ESPN.com (Twitter link). McCain, 24, is entering his third season in the NFL, but hasn’t contributed much during his first two years in the league. He’s appeared in 19 games, but he’s been more of a special teams player than a defensive stalwart. McCain picked up a sack and a forced fumble in 2015, but only played on 113 total snaps (43 on defense) before being traded to the Saints this offseason. The Bills placed wide receiver Sammy Watkins on injured reserve today, and replaced him by claiming fellow pass-catcher Justin Hunter off waivers. Watkins will be out for a minimum of eight weeks as he recovers from a foot injury. 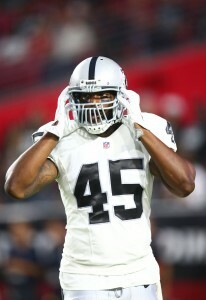 In case you missed it, the Patriots worked out former Raiders fullback Marcel Reece today. The Lions are thin at running back after placing Ameer Abdullah on injured reserve last week, so they’re taking a look at free agents that are available on the open market. 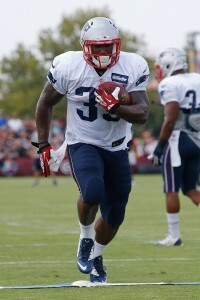 Detroit worked out Jonas Gray, Daniel Thomas, and Mike James, according to Field Yates of ESPN.com (Twitter link). Gray, 26, is most known for his brief tenure in New England, which featured a 201-yard, four-touchdown rushing performance against the Colts in November 2014. That showing represented a significant portion of Gray’s production as a rookie. All told, he amassed 89 carries (37 in the Indy game) for 412 yards and five scores in eight contests. Gray has also spent time with the Dolphins and, most recently, the Jaguars. In four seasons with Miami, Thomas ran for 1,480 yards off of 409 attempts, good for just 3.6 yards per carry. In 2014, he saw time in 12 games, rushing for 168 yards off of 44 carries, and proceeded to sign with the Bears, but didn’t make the final roster. The 28-year-old Thomas was out of the league entirely in 2015 as he made the rounds on the workout circuit, but had a brief second stint with the Dolphins before being cut earlier this month. Jame, like Gray, has one notable game under his belt, a 2013 contest against the Seahawks where he ran for 158 yards on 28 carries as a member of the Buccaneers. Those yards, however, represent nearly half of his career total, and James hasn’t been a key contributor since. After spending the 2015 campaign on Tampa’s practice squad, he was waived with an injury settlement earlier this month. This has been a rough season for the Bills so far. Today, Buffalo announced that star wide receiver Sammy Watkins has been placed on IR. There is no surgery scheduled for Watkins, though he will visit Dr. Robert Anderson to be sure, Ian Rapoport of NFL.com tweets. The plan for Watkins will consist of rest and rehab. Watkins could potentially return after two months thanks to the league’s new IR rules, but it’s not immediately clear if that’s a possibility for the wide receiver. Of course, if the Bills’ season keeps going in the same direction, it’s unlikely that Watkins would be activated even if he’s healthy later on in the season. Buffalo is currently 1-2 heading into a tough matchup against the Patriots on Sunday. Meanwhile, they’re missing several starters on the other side of the ball. 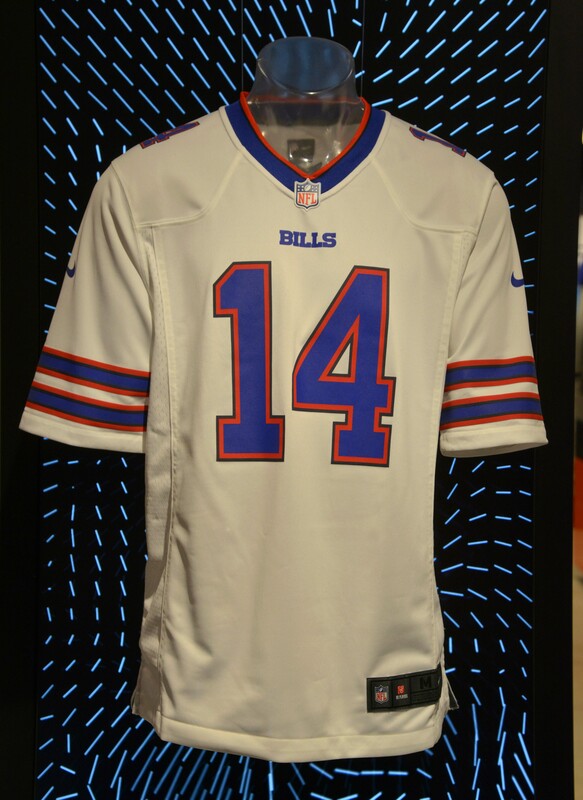 The Bills went all-in on Watkins in the 2014 draft, trading the No. 9 overall pick, their first-round choice in 2015, and a 2015 fourth-rounder to acquire him. From a talent perspective, Watkins proved to be as good as the hype. Unfortunately, he hasn’t been able to stay healthy. Watkins bravely played through the pain in 2015 but his foot only got worse with time. With Watkins sidelined for at least eight weeks (and possibly the full season), one has to wonder if coach Rex Ryan will be able to keep his job for 2017. It’s only Year 2 for Rex in Buffalo, but there have been rumblings about his job security for months. Ryan will have to get some Ws out of his team without some of their most important players this year, including the dynamic Watkins. In two games this year, Watkins recorded six catches for 63 yards. 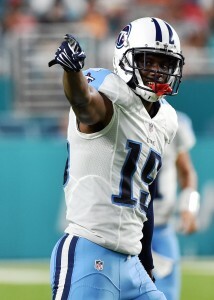 The Bills claimed wide receiver Justin Hunter off waivers from the Dolphins, as Field Yates of ESPN.com tweets. The team has since confirmed the move while announcing that fellow wide receiver Sammy Watkins has been placed on IR. Hunter came into the league with a ton of hype behind him as a second-round pick in the 2013 draft. Unfortunately, Hunter was never able to put it all together at the NFL level. This year, the new regime in Tennessee bounced Hunter (and other notable players from GM Ruston Webster‘s watch), leading him to be picked up by the Dolphins. However, on Wednesday, Miami opted to waive the wide receiver.